The Mountain West Conference released Air Force’s complete schedule on Thursday, and the month of October stands out as being a particularly brutal stretch for the Falcons. The month starts with a trip to Annapolis to play rival Navy, and it doesn’t get any easier from there. 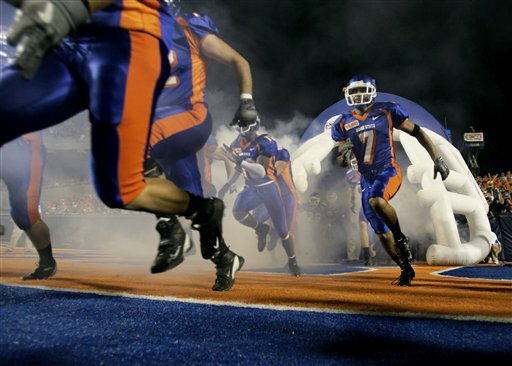 The Falcons also travel to South Bend to play Notre Dame and later play their first game at the awful blue field of perennial power and conference newcomer Boise State. San Diego State, fresh off a win in the Poinsettia Bowl last season, is the only home game for the Falcons during the entire month. – BSU fan and former AF NCO. No Fear, the Falcons will take care of business! “One for the thumb” for a 5th consecutive bowl game in 2011!